Now help your customers to find the store address of your store anywhere in the US. By the Ocodewire US Store Locator Magento Extension admin can list their store locations anywhere in the U.S. by filling the required information through the Magento admin panel. 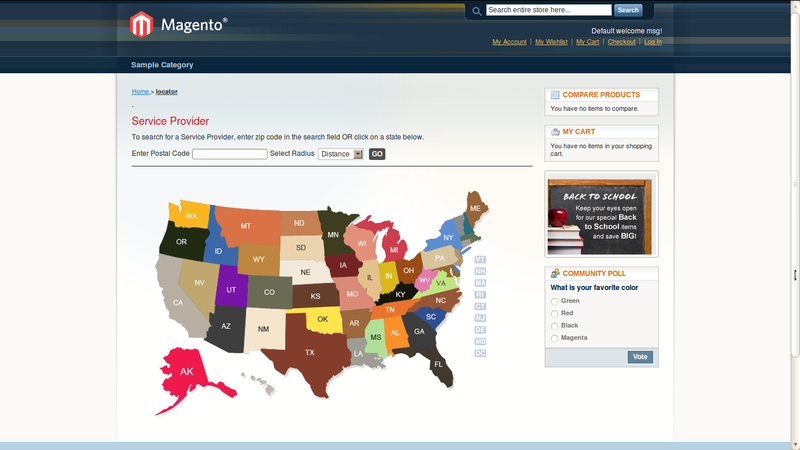 Magento store locator extension helps customers to locate store in any particular state of the U.S. By clicking on State Image, customers would be able to see store address and other details. The customer can also find the store in particular Zip Code and their nearby stores details under maximum distance of 250 km in radius. With the help of Magento US store locator extension you can add Google default location markers or create custom map marker icons for individual location or location types in the website. Step 2. After successful installation of extension clean store cache and then logout from Admin Panel. Step 3. Now Login again and go to Under CMS > Ocodewire Locator. Step 4. Now Click on add Location. Step 5. Fill all the required information Name, Address, Postal code, Latitude, Longitude (Longitude could be Negative). Step 6. Save the details. Step 7. Now go to the front-end : Openurl www.example.com/index.php/locator. Step 8. Now click on the state image or insert postal code and click on search button, and you would be able to see all details of the store in Google map. Step 1. Go to CMS > Page > Create New Page. Step 2. Fill name and URL of Page. Step 4. Set layout 2-columns right side bar now save the page and call the page using URL of that page. Allows for full control of layout and styling with CSS for distinct look and feel. Enables to search flexible with variety of parameters such as landmark, street name, postal/zip code, city, state, country etc. Ability to assign locations to all or specific stores. 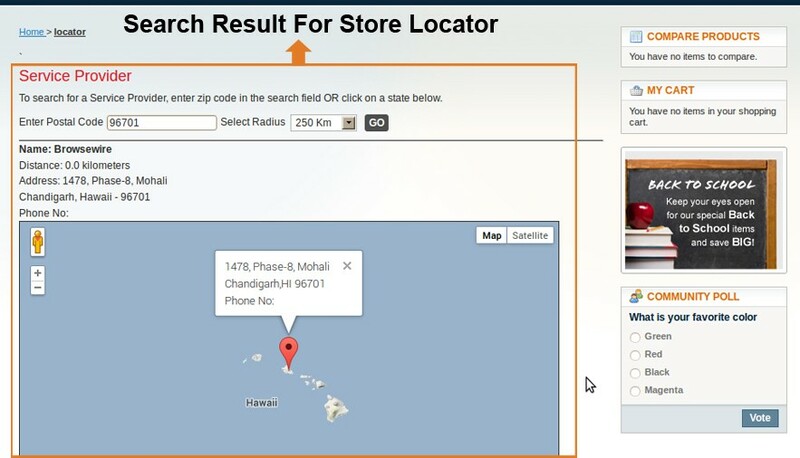 Show images of the store in the location list and on the map for easier navigation. Easily upload the number of files simultaneously. Full support for all major and most popular browsers and Magento versions. 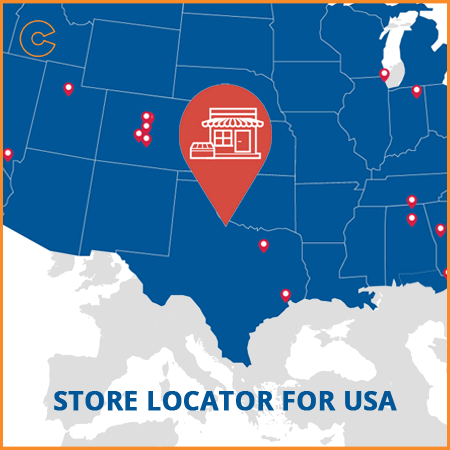 Magento US Store Locator Extension by ocodewire allow admin to locate stores anywhere in US so that customer can easily search the nearby store address. It provides directions service with worldwide location support.